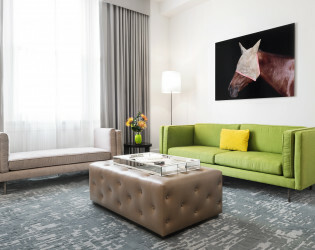 A space where contemporary and historic meet and contrast. 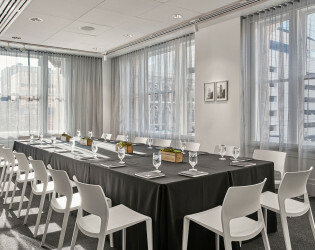 21c Lexington features a wide range of spaces – many with cutting edge audiovisual technology and large light-filled windows – making it the perfect venue for board retreats, executive meetings, cocktail gatherings, reception dinners, charitable events, weddings or any other special occasion. 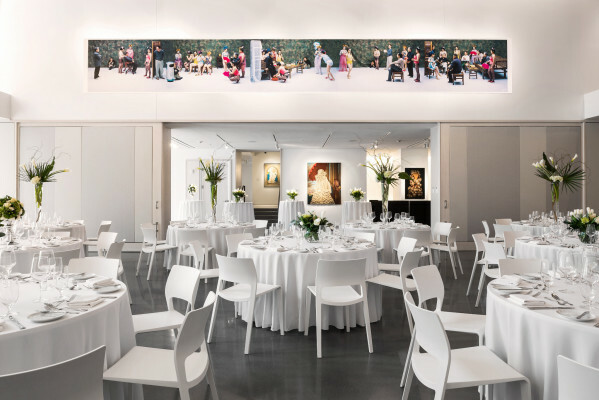 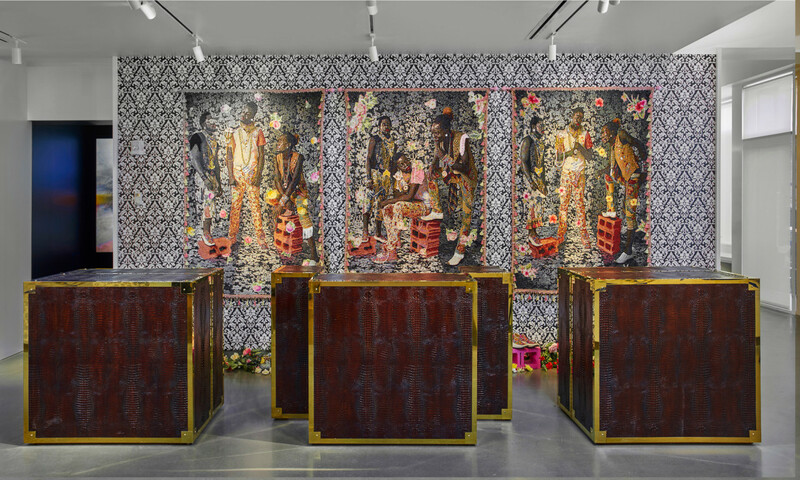 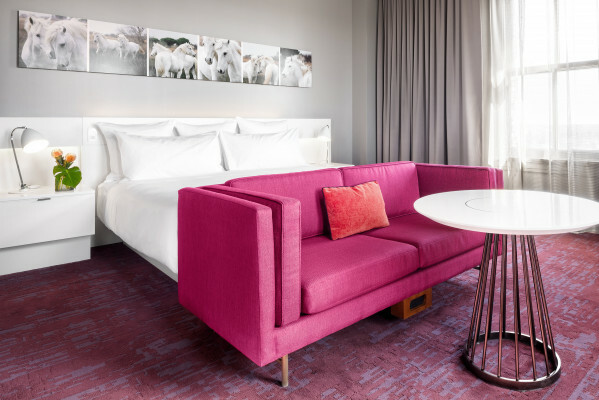 21c Museum Hotel Lexington brings over 7,000 square feet of art-filled exhibition and event space to the heart of downtown Lexington. 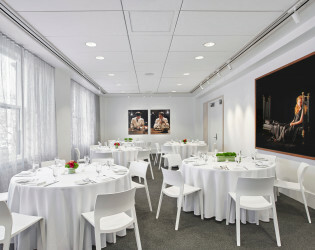 21c Lexington features a wide range of spaces – many with cutting edge audiovisual technology and large light-filled windows – making it the perfect venue for board retreats, executive meetings, cocktail gatherings, reception dinners, charitable events, weddings or any other special occasion. Additional charges include a 24% service charge and 6% sales tax. 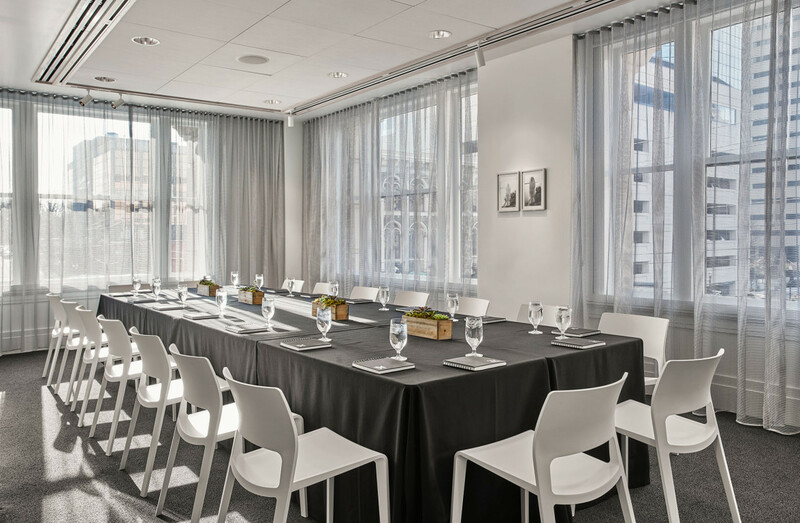 A discounted group rate is extended for 10 rooms or more if booking an event. 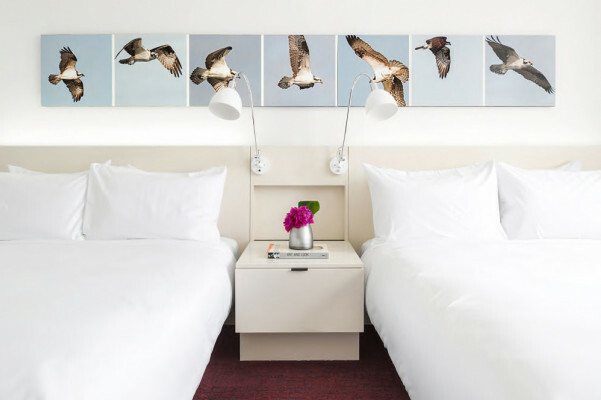 88 guest rooms. 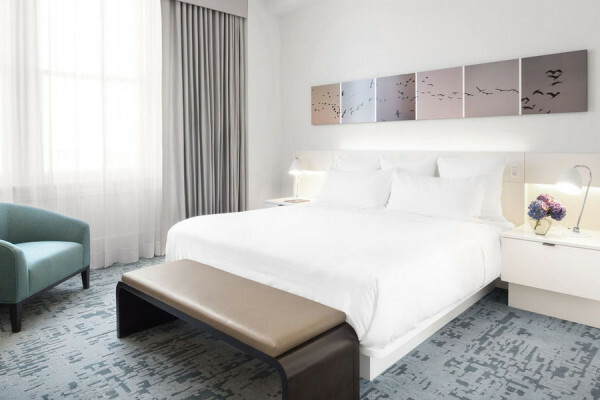 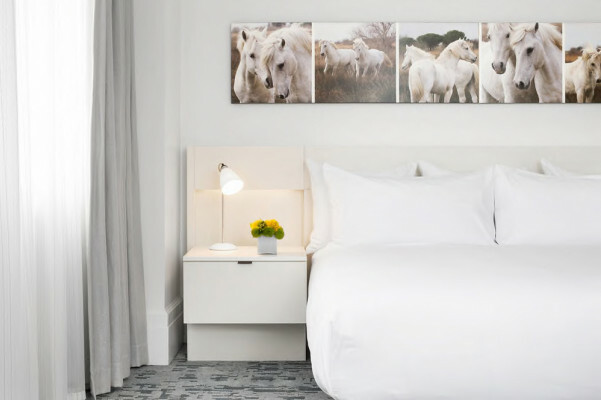 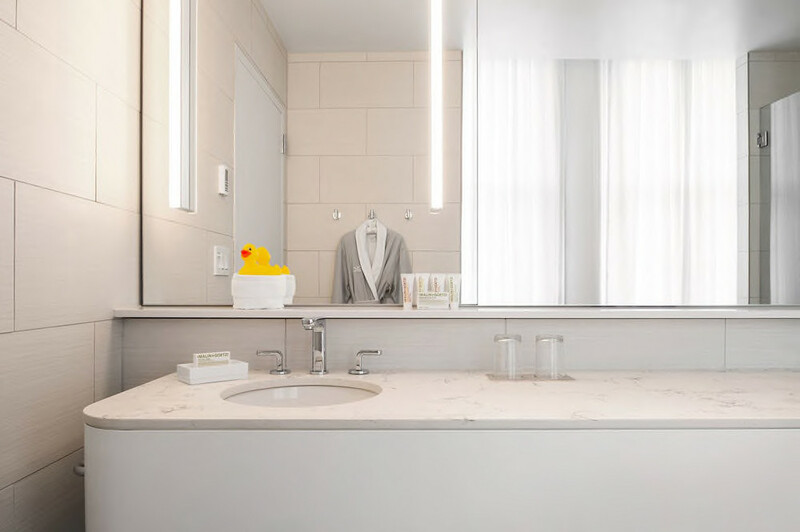 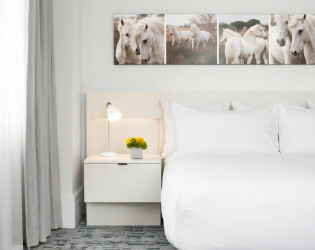 The 1245 square foot 21c Suite, our largest one bedroom suite features original art, en suite Bathroom with double vanity sinks, separate dining and work area and powder room with views of downtown Lexington. 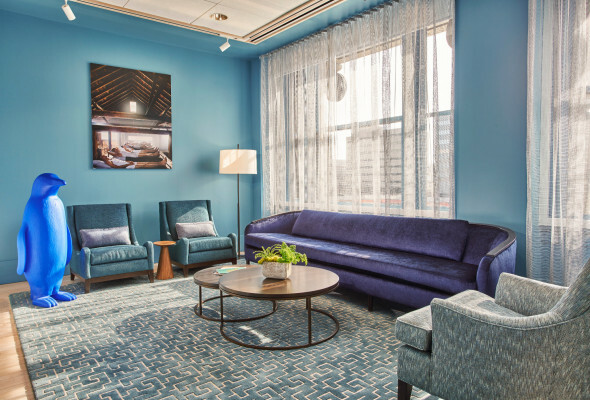 5 suites total including Skylight Suite and Deluxe Suites. 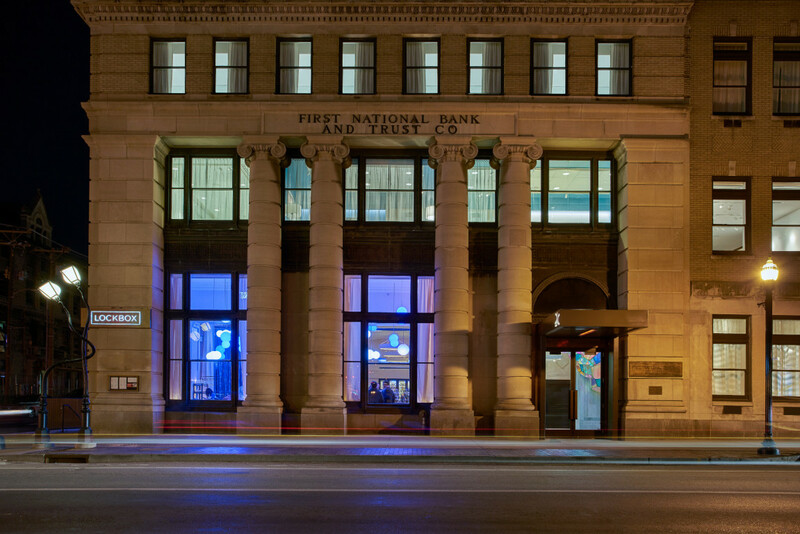 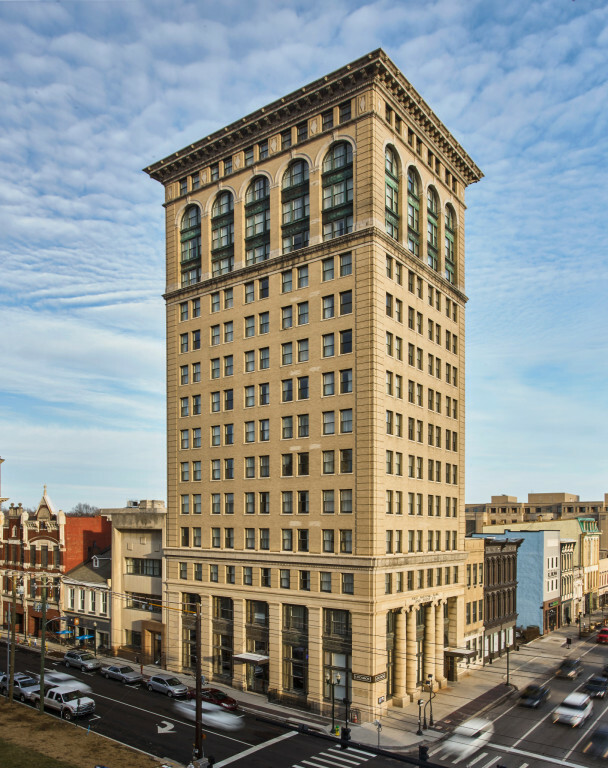 21c Museum Hotel Lexington is housed in the Fayette National Bank Building, located in the Downtown Lexington Historic District. 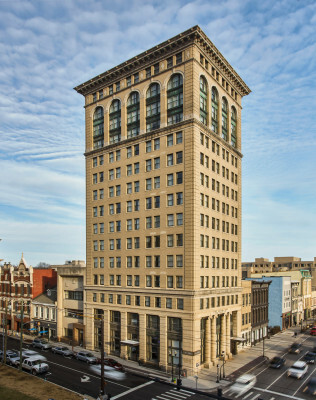 The 15-story building was originally designed by architects McKim, Mead and White, famous for the American Academy in Rome and parts of the Metropolitan Museum of Art. 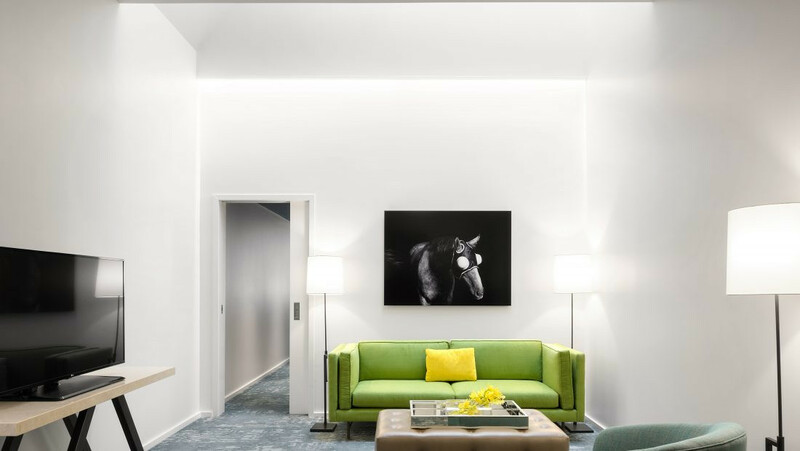 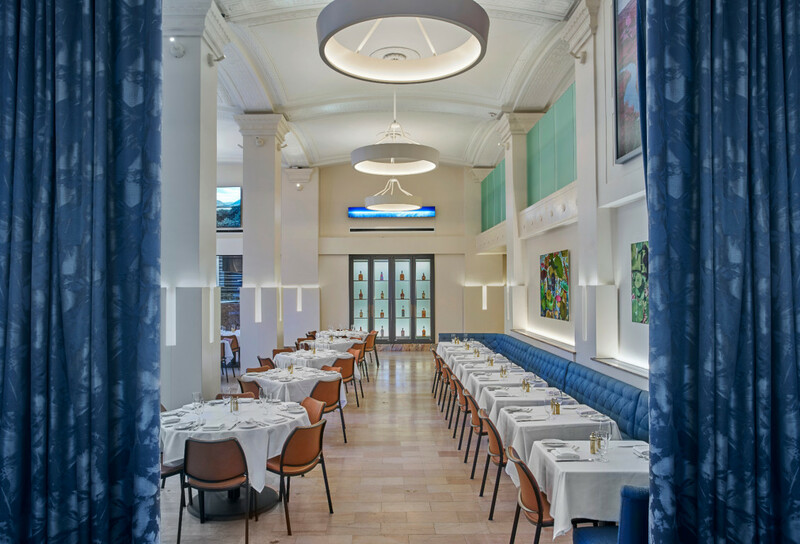 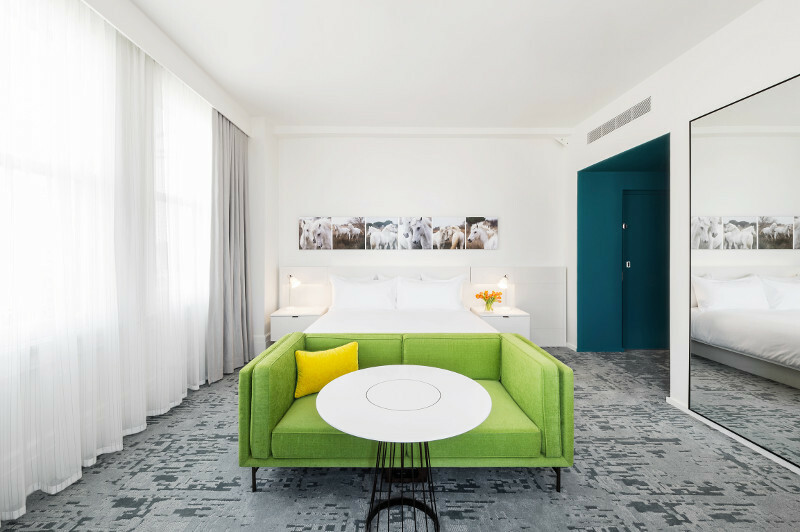 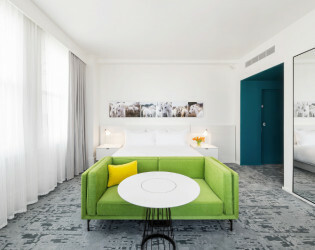 The 21c design team, led by New York-based architects Deborah Berke Partners, has embraced the building’s original features to create a space where contemporary and historic meet and contrast. 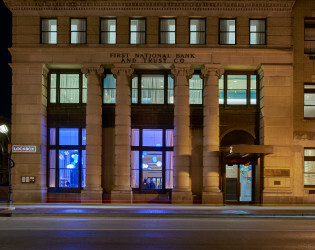 Listed on the National Register of Historic Places, many of the Beaux Arts International-inspired building’s historic features have been preserved and restored including Ionic Order exterior columns, marbled walls, Tennessee Pink marble flooring and vaulted ceilings with ornamental plaster patterns. 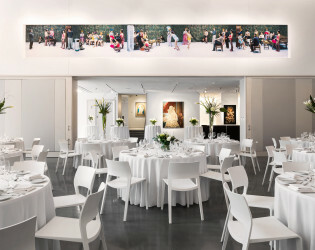 21c Lexington offers a number of unique add-ons including craft cocktail classes, art tours and yoga and barre in the exhibition spaces. Custom welcome gifts can be arranged for your guests through the 21c Museum Shop. 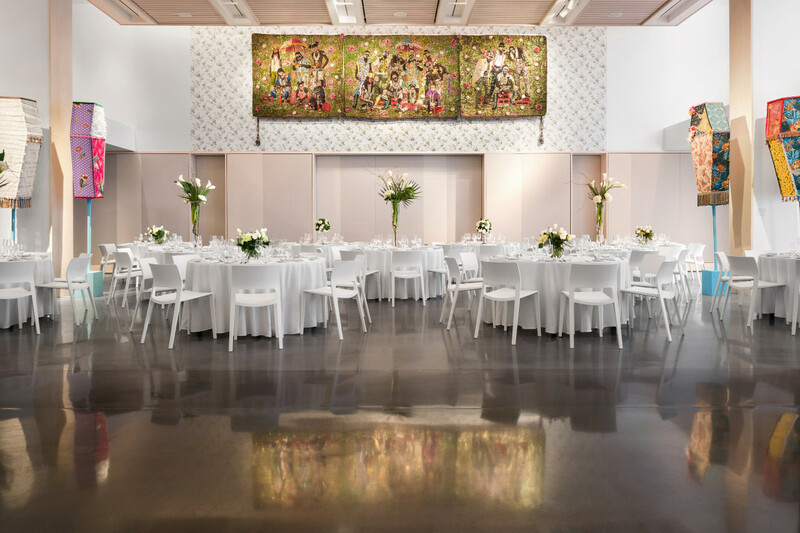 No reason to rush through your wedding photos – your guests will be occupied exploring the art-filled museum galleries, open to the public free of charge 365 days a year. 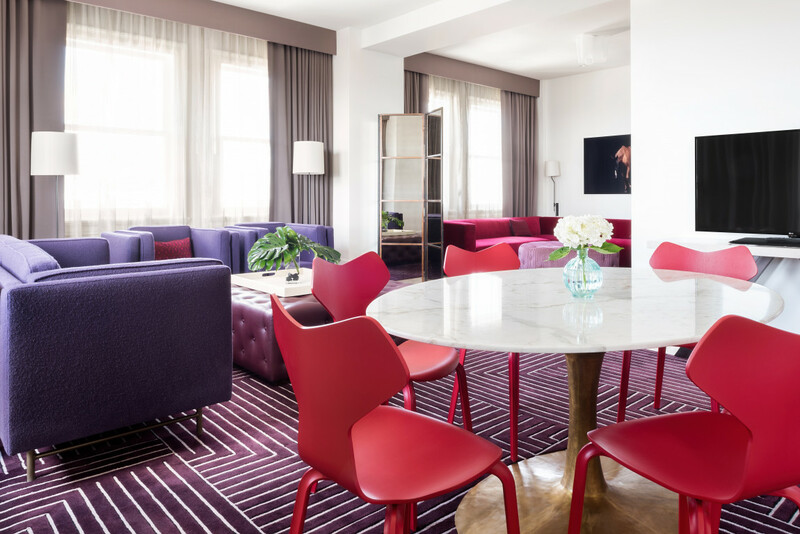 Room blocks are available for out-of-town guests, with special rates available for groups of 10 or more. 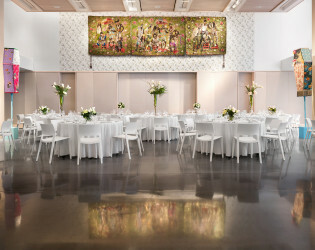 Experienced event manager; room and menu planning; set up and strike; assorted classroom, round and cocktail tables; contemporary white chairs; black or white linens; ambient votive candles; custom printed menus for place settings; table numbers; place cards; lighting scene sets; state of the art AV technology; fine bone china; flatware; glassware. 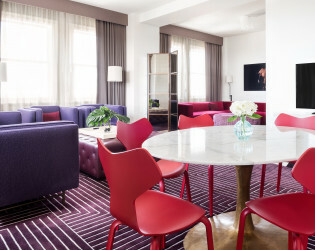 Awards & Notables Featured in: Condé Nast Traveler, Forbes.com and New York Observer. Not just another pretty space, this double-height room has historic arched windows, concrete flooring and velvet drapery. 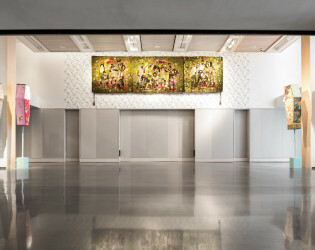 The Main Gallery is also equipped with some serious a/v technology. 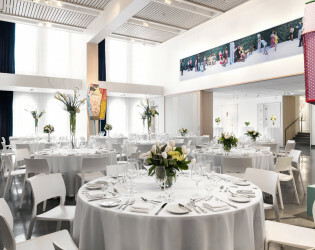 Connected to the Main Gallery, this flexible space can be used for cocktail hour, buffet set-up, lounge seating or anything else you dream up! 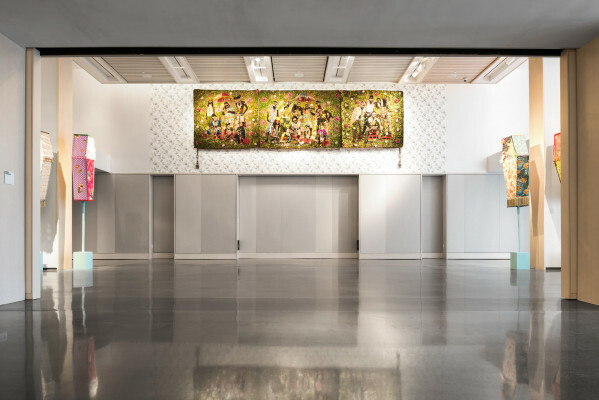 Original restored windows fill Gallery Three with natural light. A ceiling mounted projector with motorized screen is available along with convenient power outlets and handy magnetic whiteboards. 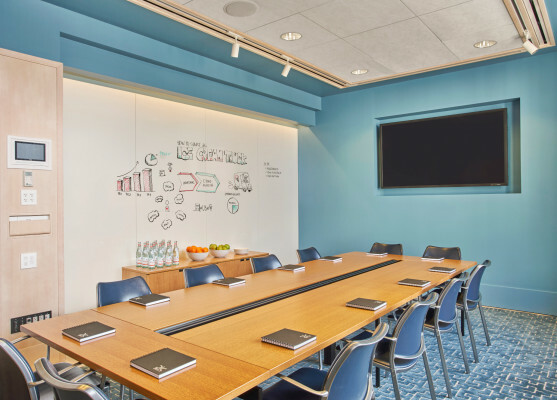 Gallery Four offers abundant natural light from historic windows while utilizing a ceiling mounted projector with motorized screen and handy magnetic whiteboards. 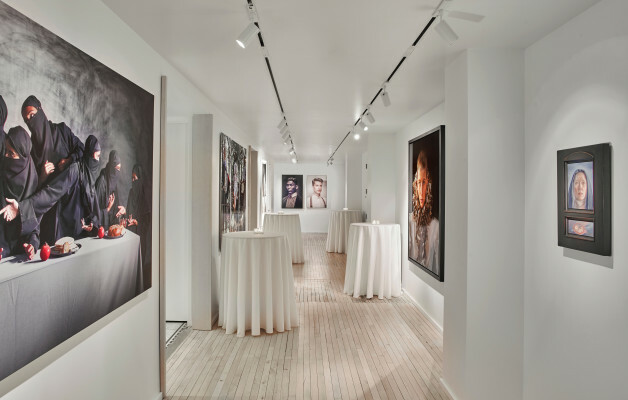 Located right off of the Lobby Gallery and next to the Video Gallery on the ground floor, Gallery 5 is an intimate meeting space in the middle of the art action. 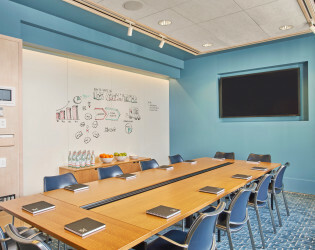 The 21c Conference Room is equipped with a 65” plasma television, whiteboard, and table with power/ data ports. Located inside the original bank vault at Lockbox, The Safe private dining room is perfect for a small event or dinner, or to take a break from your meeting. 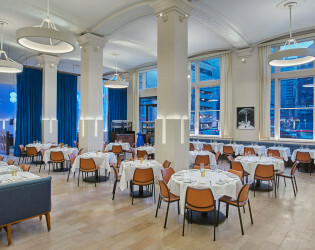 21c Lexington is home to Lockbox, which showcases executive chef Jonathan Searle’s commitment to the community’s craft purveyors, high-quality seasonal ingredients and thoughtful yet simple cooking techniques. 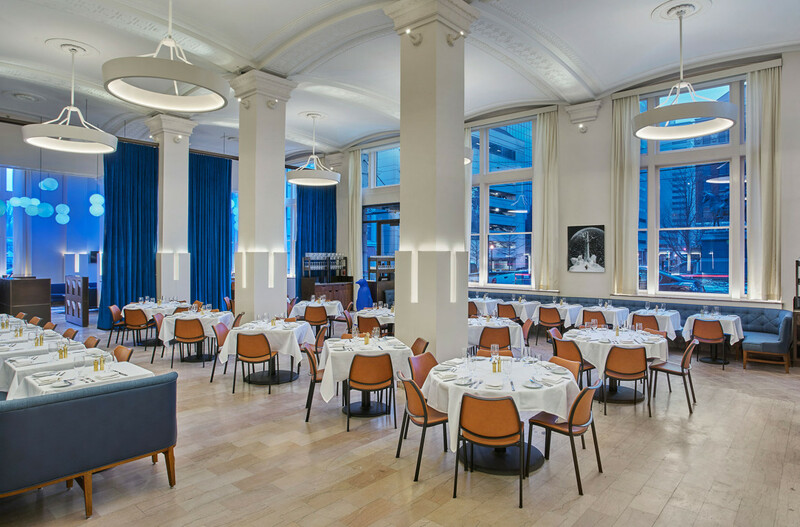 The menu, which changes frequently, nods to Kentucky’s rich Southern heritage and Lexington’s own cultural and agricultural identities. 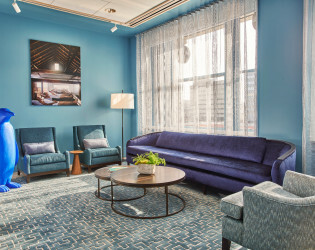 In the bar and lounge area, guests can enjoy carefully crafted cocktails ranging from approachable aperitif cocktails, to more complex spirit-driven options. 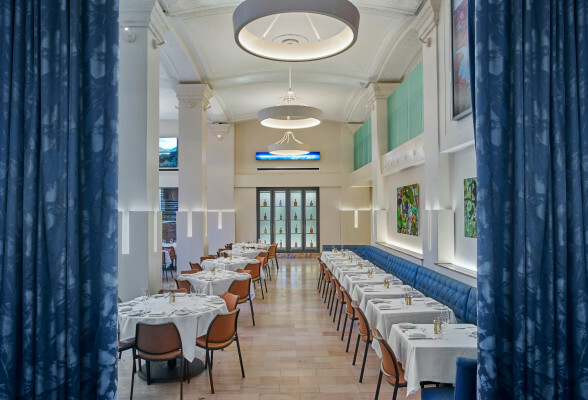 Designed by Deborah Berke Partners, the Lockbox space highlights historic features like original marble floors, decorative plaster details and large windows. Communal tables in both the dining room and lounge provide opportunities for large groups to dine together, or for individual guests to meet new people while they dine. 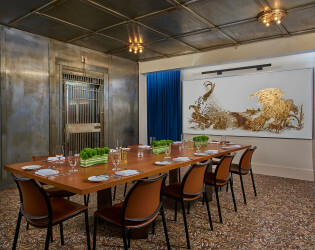 The original vault feature, The Safe, is used for private dining and seats 12. 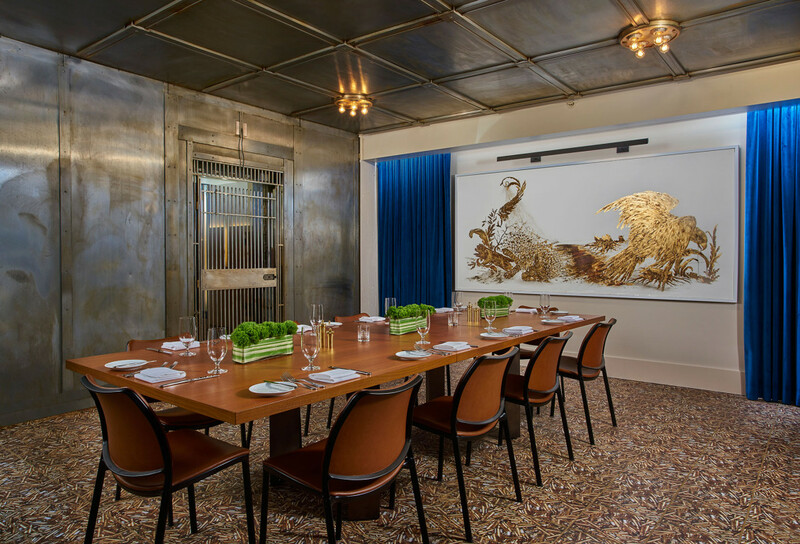 The communal table just outside The Safe seats 14 and is serviced by a separate bar, making intimate events a breeze. Lockbox’s bar program celebrates Kentucky’s native spirit with a selection of more than 60 of the area’s finest Bourbons and Ryes. 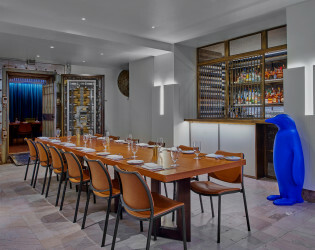 The cocktail menu rotates seasonally, offering both approachable aperitif cocktails and more complex spirit-driven cocktails. 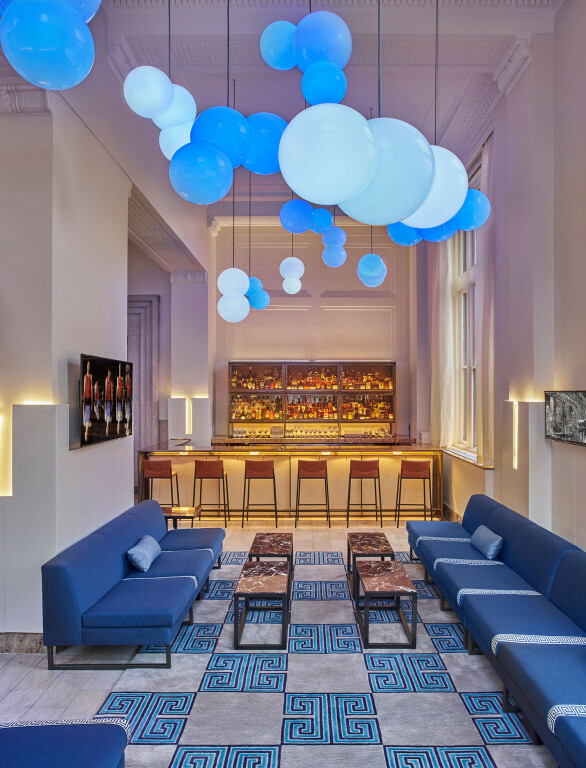 All spirits can be ordered in half ounce, 1.5 ounce or 2.5 ounce pours, encouraging trial and giving guests the opportunity to try new spirits and build their own flights. 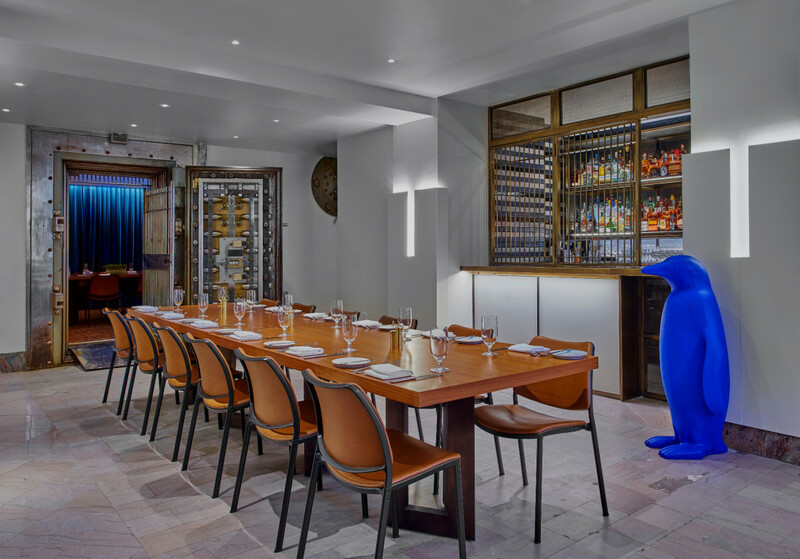 Lockbox features an extensive and approachable wine list focused on American and French wines, with a comfortable mix of familiar styles and labels complemented by more adventurous options. 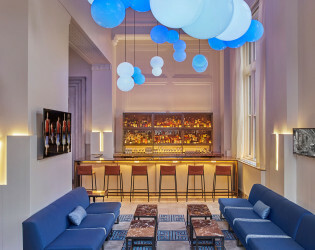 Sip on one our our house cocktails in the bar and lounge with a view of "Tomorrow's Weather," a multi-media installtion by Bigert & Bergstrom. 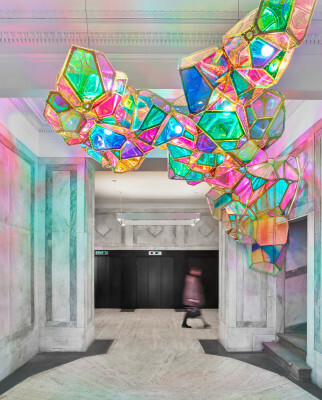 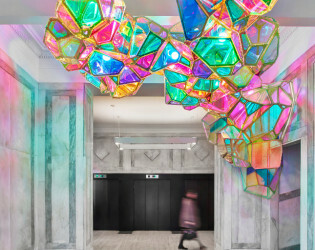 Varying in color and lit from within, the acrylic spheres hanging overhead in Lockbox are arranged as atmospheric molecules which change color depending on the following day’s weather forecast. 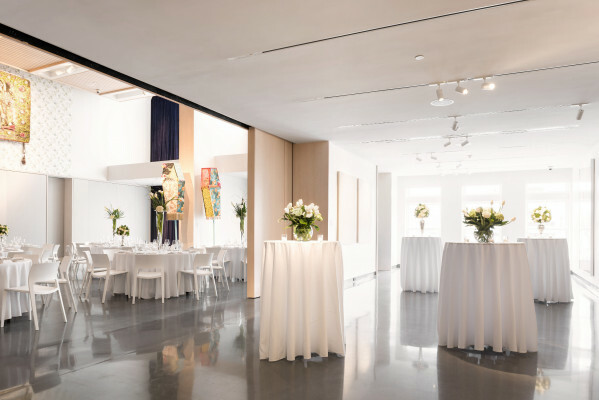 21c Lexington offers a number of unique add-ons including craft cocktail classes, art tours and yoga and barre in the exhibition spaces. 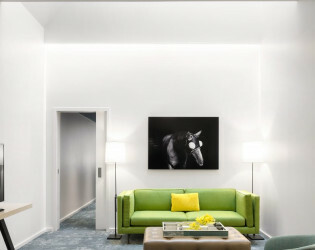 Corner King - There are 88 guest rooms total. 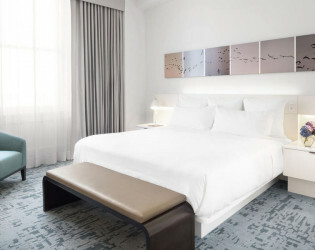 21c Bedroom - The 15-story building was originally designed by architects McKim, Mead and White, famous for the American Academy in Rome and parts of the Metropolitan Museum of Art. 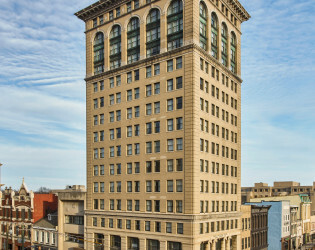 Deluxe Suite - 21c Museum Hotel Lexington is housed in the Fayette National Bank Building, located in the Downtown Lexington Historic District. Led by executive chef Jonathan Searle, Lockbox provides catering and beverage service for events at 21c Lexington. 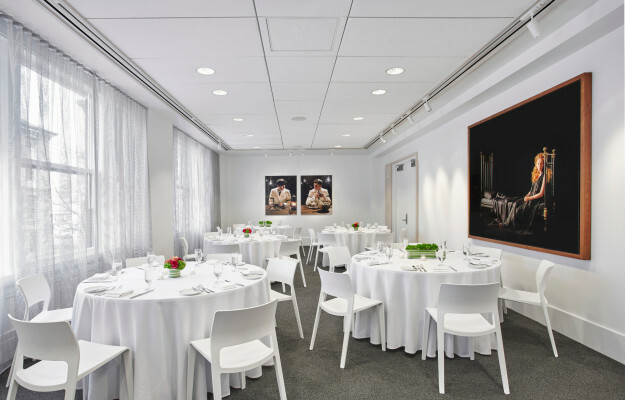 Whatever the occasion, if you have the people, 21c Museum Hotel Lexington has the space to ensure your gathering is the talk of the town. 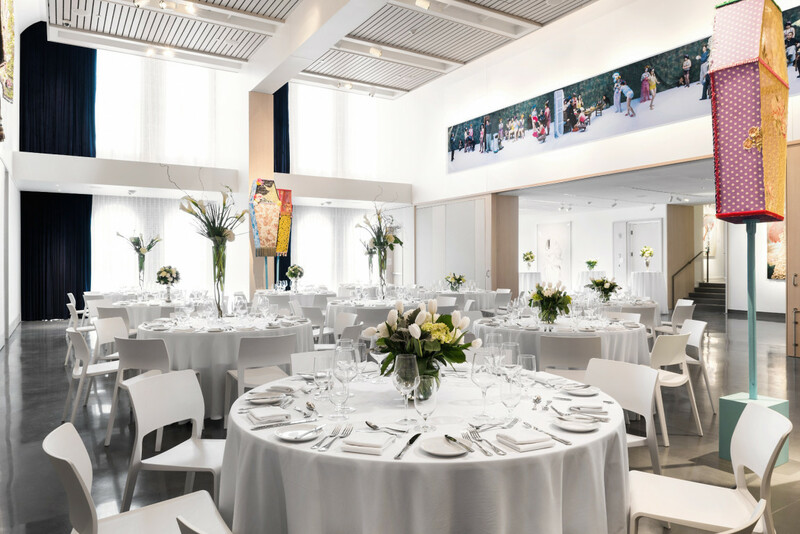 21c Lexington features a wide range of spaces – many with cutting edge audiovisual technology and large light-filled windows – making it the perfect venue for events. 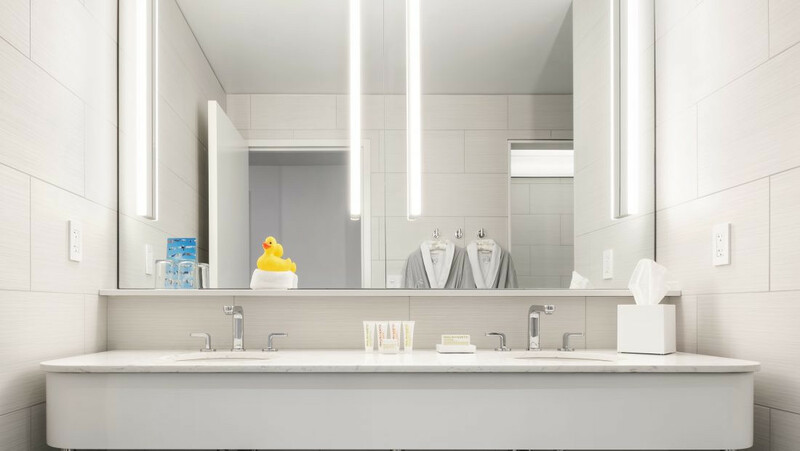 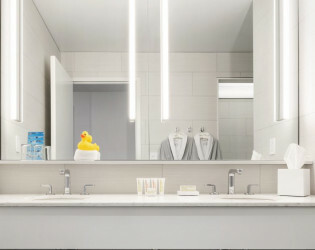 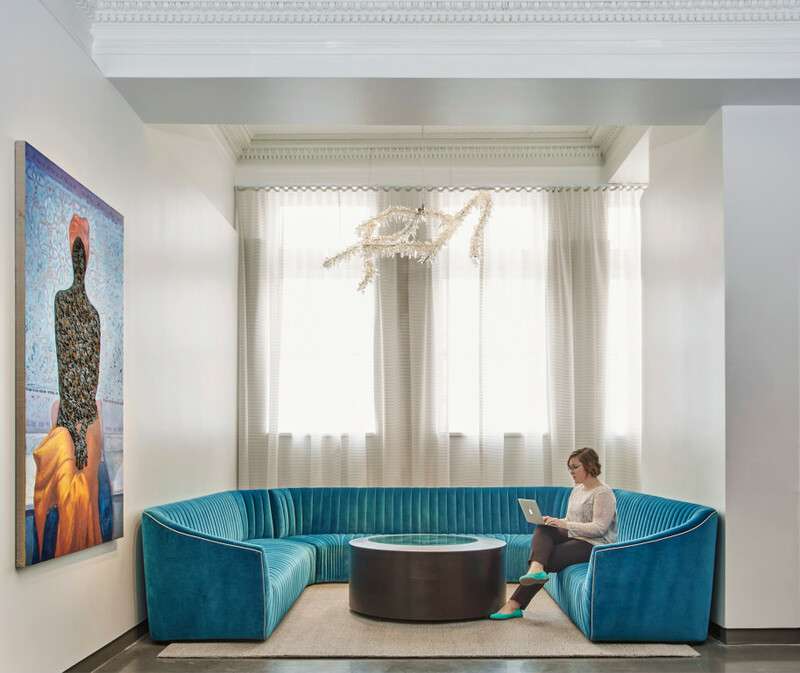 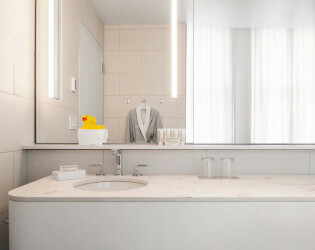 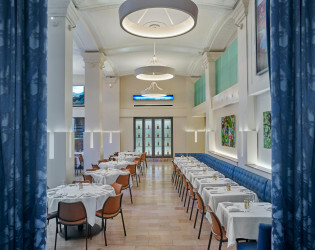 The 21c design team, led by New York-based architects Deborah Berke Partners, has embraced the building’s original features to create a space where contemporary and historic meet and contrast. 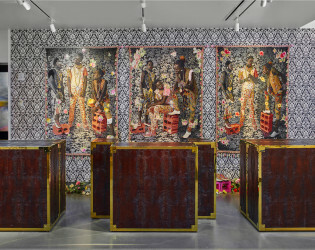 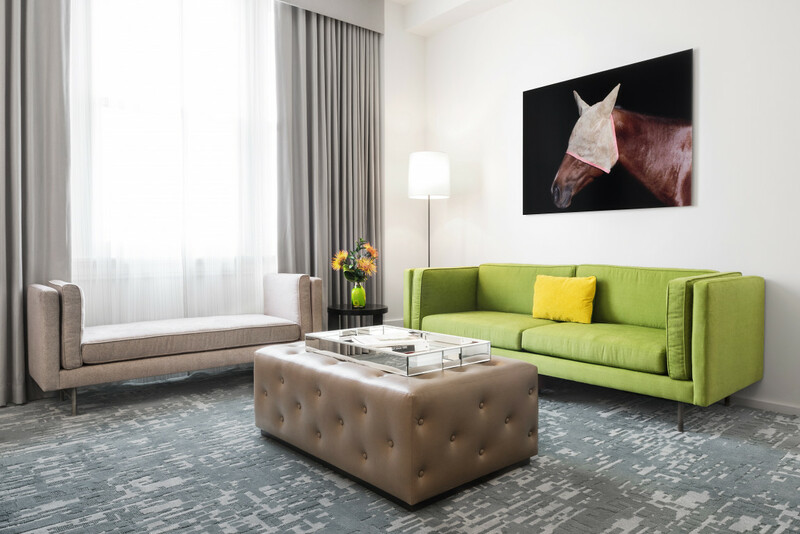 21c Museum Hotel Lexington brings over 7,000 square feet of art-filled exhibition and event space to the heart of downtown Lexington.